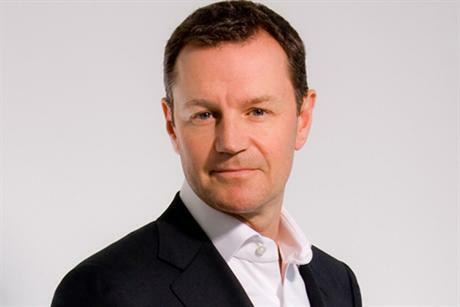 Danny Rogers, PRWeek's editor-in-chief, is to become brand editor of Campaign following a number of changes within Haymarket's Brand Republic Group. The Brand Republic division of Haymarket Business Media, which publishes the creative industry ‘bibles’ Campaign, Marketing and PRWeek, announced editor-level staffing changes today as part of a new focus on its core brands and digital publishing. The division is replacing the traditional editor role with the position of brand editor. The change reflects the fact that a modern editor on one of these brands has a truly multi-channel role today, overseeing content via websites, apps, print products and live events. Digital content becomes the absolute priority for these brands, with the group increasing investment in web and mobile apps, as well as data journalism. As a result, many job titles will change to reflect the new emphasis on digital engagement and the fresh skills being developed. The three ‘power brands’ – Campaign, Marketing and PRWeek - will continue to have print products while reader demand exists. Danny Rogers takes over as brand editor of Campaign and Media Week, responsible for all editorial content covering the advertising and media industry. He will retain his group editor-in-chief role. Rogers will continue to oversee PRWeek, which he began editing in 2005, until a dedicated brand editor is appointed. Campaign (website, print and app) and Media Week (website) will be produced by a single editorial team. This includes a newly appointed head of media – Arif Durrani (formerly group news editor) and a news editor - Maisie McCabe (formerly senior reporter). Claire Beale moves from Campaign, which she has edited for eight years, to become brand editor of Marketing, responsible for all editorial content aimed at brand owners and client-side marketers. Noelle McElhatton, editor of Marketing, has decided to leave Haymarket after 12 years at the company. McElhatton, whose roles have also included editor of Marketing Direct and editor of Content Solutions spanning the Brand Republic Group, is to undertake a course at City University while working as a freelance consultant. Haymarket have had a long and fruitful business relationship with McElhatton and hope to continue this relationship in the future. All production – digital, print and art – will be pooled into a central studio, efficiently serving Brand Republic Group’s mix of brands and channels, with a strong emphasis on digital. Philip Smith, currently head of Content Solutions, the group’s bespoke content operation, becomes head of Studio & Content Solutions, taking on additional responsibility for the central studio, a combined production resource of production editors, sub-editors, web producers, art editors and photographers – with a view to making this team more digital and to more efficiently serve the growing diversity of content platforms. Gordon MacMillan, currently group social and international editor, becomes editor of BrandRepublic.com, which refocuses as a portal and aggregation site for the entire marcoms sector. Brand Republic will be powered by Campaign, Marketing and PRWeek but will also curate the very best content, opinion and blogs from a variety of external sources. MacMillan will retain his role as group social media editor. In 2012, Marketing led industry news coverage of the London 2012 Olympic and Paralympic Games, with scoop after scoop on the brands sponsoring the Games.